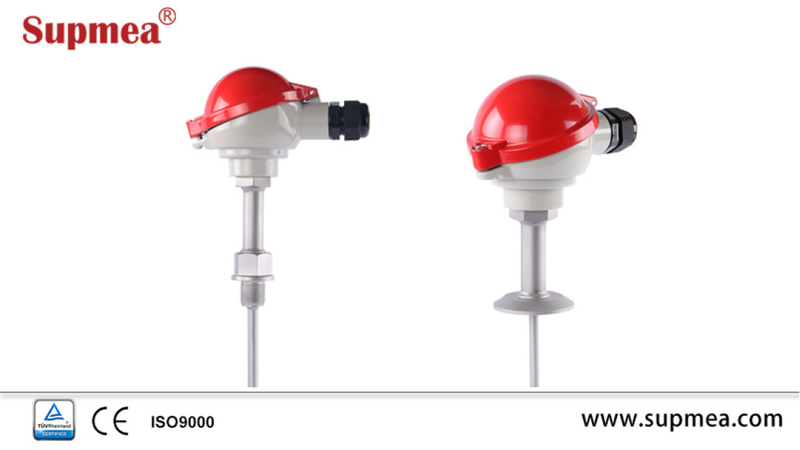 temperature sensor is preferentially used for measuring temperatures in liquids and gases. A decisive selection criterion is the reliable sealing feature of this installation type with vacuum and with over-pressure. The application areas are, among others, in the air conditioning technology and refrigeration engineering as well as the HVAC and apparatus engineering sector.Protection tubes made of various materials protect the measuring insert against chemical influences and mechanical damage. The appropriate protection tube material is selected according to the conditions on site.